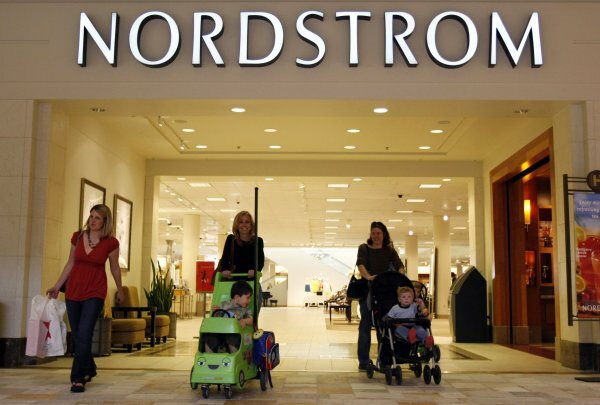 Nordstrom is one of the best investments in retail. The company’s shares have gained 120% in five years. The company is well-positioned to continue that success in the future, according to Deutsche Bank. “Throughout their history, they have consistently provided some of the best service in the industry,” said Robin Lewis, CEO of The Robin Report and co-author with Michael Dart, of The New Rules of Retail – Competing in the World’s Toughest Marketplace. The company’s share price over the past five years. A shopper checks a shoe as she walks down an aisle in a Nordstrom rack in Chicago. Nordstrom’s omnichannel strategy helps it resonate with young customers.